How to repair iOS to normal on Mac if you encounter such kinds of issues on your iDevice? No worries. There will be two feasible ways to restore your device and turn to normal mode quickly. If your iOS device is stuck in recovery mode, DFU mode, white/black/iTunes screen loop, Apple logo in iOS 10/9/8/7, you can get help of iTunes firstly to try to solve iOS bugs. Please follow the below simple steps to get them fixed. Step 1. Connect your iPhone/iPad/iPod to Mac with a USB cable. Step 2. Make sure you install the latest version of iTunes on Mac. Step 3. Press and hold both Home button and Sleep/Wake button simultaneously for about 10 seconds. Step 4. Release the Sleep/Wake button while keep holding the home button to enter your Apple device into recovery mode. Step 5. Go to the iTunes interface and click on Summary. Step 6. Then continue to tap on Restore iPhone. If you fail to fix anomalous iOS system stuck in recovery mode after updating to iOS 10/9/8 in the first free way, here will be a professional tool--Tenorshare iCareFone for Mac, which makes it more quick and efficient to solve all kinds of stuck and booting glitches and get your iOS devices to normal mode without data loss. 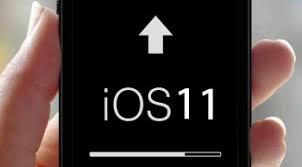 The "Repairing Operating System" features can fix all iOS stuck, crash, and errors occur on iOS update/jailbreak. You can also repair the system just for a faster and better iOS experience. What Conditions Do You Need Tenorshare iCareFone for Mac? 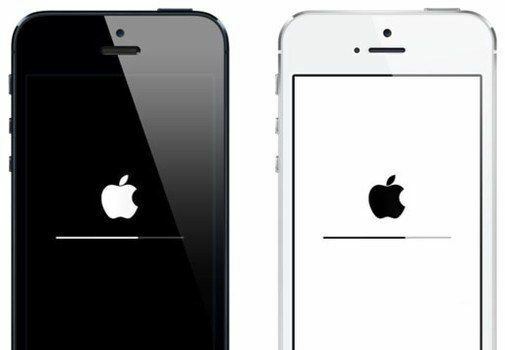 Stuck in white Apple, recovery mode, dfu mode, black/white screen. How to Use Tenorshare iCareFone to Fix iOS to Normal? Step 1: Connect youriPhone/iPad/iPod to your Mac with a USB cable and launch Tenorshare iCareFone on your Mac computer. Step 2: Click on "Repair Operating System" in the main interface and then click "Start" to continue. Step 3: Once your iDevice is successfully detected, follow the instructions to download firmware online or import it manually to repair iOS operating system on Mac. Step 4: Select Standard Repair repair mode and click "Start" to repair iOS without any data loss. Step 5: After these your operating system should be fixed successfully. If it still does not work properly, please import firmware package again and get into Standard Repair for at least 3 times. Deep Repair will be highly recommended to try. Tenorshare iCareFone is actually all-in-one handy software that can also clean junk files and speed up your iPhone/iPad/iPod, remove annoying ads and transfer multiple files between iOS device and computer. If you think it is a good tool, please share it with your friends.